When it comes to marketing for a small business, staying up-to-date on the latest trends is an integral component of successful lead generation. Whether it’s a recent social media app, a trending topic or an online marketing campaign, a business continues to grow when it stays current with new technology and marketing ideas. Cue: video marketing. Over the past few years, video consumption online has grown almost exponentially. There are more video posts now more than ever, and as we move forward, video shares are only expected to increase. There’s no doubt about it: the future of marketing lies in videos. Which means, if a business wants to stay current on the latest marketing trends, it should have a comprehensive video strategy. So, how do you create a successful marketing video to champion your brand and attract new customers? 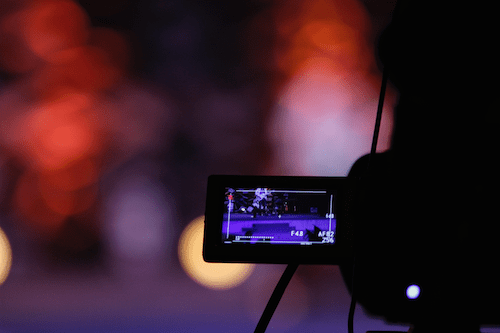 Here are five key components for how to make a strategic video script and create a successful marketing video which will help boost lead generation and grow your business. 1. Use an exciting hook. The most critical component of a successful video is the very first initial hook. After all, if you don’t catch viewers’ attention, chances are they won’t keep watching the video. First, identify your target audience and consider their perspective in order to brainstorm how you should best address them. Then, let the audience know you are talking to them specifically and intentionally by addressing them directly. When your marketing video script has a strong, attention-grabbing introduction, it will draw viewers in and set the tone for the rest of your content. 2. Find an emotional connection. Once you’ve hooked the viewer’s attention, be sure to establish a personal connection with them. As human beings, our feelings often impact our decisions more than we care to admit—often even more than logic. Business can capitalize on this emotion by connecting with consumers on a deep, personal level. An emotional connection makes viewers feel like a business or company truly cares for them and the community. Then when they feel a connection, they’re more likely to take immediate action after viewing the video. 3. Share a compelling story. Once you’ve grabbed the viewer’s attention and connected with them emotionally, use your marketing video to share a compelling story. Every video should share something worth value to the client; for instance, the company’s story, a product’s story or a customer’s story. Why should customers care about what you have to say? Use the video time to expand and go in-depth on the narrative’s critical points. The goal is to gain viewers’ trust and empathy, while still allowing time to share details surrounding the story and leading viewers into your next major point. Once you’ve established a storyline for the marketing video, try incorporating your values throughout it. This is the most important part of the video, and should be restrained to one concise sentence. Up until this point, the entire video has been leading to this moment; now, your value statement is the main takeaway viewers will remember. Keep the statement focused, to the point and true to your brand in order to maintain viewers’ attention and encourage them to remember the product or service. 5. Leave them wanting more. Finally, after the video has established the business’s value statement, finalize it by viewers wanting more. A video close should encourage viewers to do something after watching, such as a call to action. Depending on how you focus the video, the call to action can be centered on anything from buying a specific product, trying a new service or simply contacting your business for more information. Also be sure to incorporate information for the business’s website, social media or any upcoming events at the end of the video. Video marketing is a powerful tool for any business to take advantage of. A strong video script consists of five key components, which work together to strengthen your marketing efforts. Use these strategies next time you want to create a successful marketing video for your business.